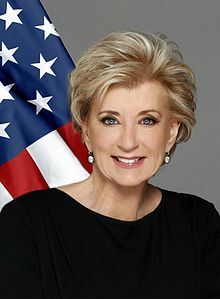 The Administrator of the Small Business Administration is the head of the Small Business Administration of the United States Government. President Obama announced in January 2012 that he would elevate the SBA into the Cabinet. This is a position that last held during the Clinton administration. The position was established in 1953 by President Dwight D. Eisenhower. This page was last changed on 12 September 2018, at 00:46.